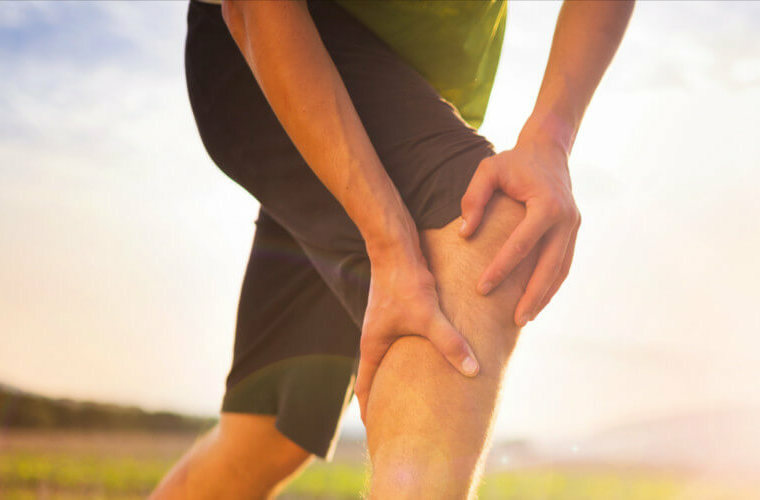 KEEP READING TO GET SOME INFORMATION ON WHAT YOU CAN DO TO HELP GET RID OF YOUR KNEE PAIN! A significant portion of stabilization for the knee actually comes from muscles at the hip. If the muscles around your hip are not strong, they won’t adequately control the position of your knee during activity and this can lead to abnormal movement patterns and possibly pain. A great place to start with hip strengthening is with simple exercises like glute bridges, clamshells, and storks. Tightness in a few key areas around the knees and hips can increase pressure on your knees or affect the way you move. If these deficits in flexibility aren’t addressed, they can contribute to pain that can keep you from being able to stay active. Some key areas to stretch include the hip flexors, TFL, and quads. If your shoes are old and worn out they may not be providing adequate support for your ankles, which can lead to altered mechanics at your knees. Check the shoes you wear the most—if they’ve seen better days it might be time to treat yourself to a new pair. Make sure you get something comfortable that fits well. The force on your knees can be as much as 8x body weight with activities such as running and squatting and up to 20x body weight with jumping. That means that losing a moderate amount of weight can significantly decrease the stress on your knees. Low impact activities such as elliptical, cycling, and swimming can help you meet your exercise goals without overly loading the knees while you’re losing weight. This exercise combined with an appropriate diet plan can help you shed pounds and get out of pain fast! If your knee pain usually comes on with exercise, doing a good warm-up beforehand can help get things moving and may prevent the pain from starting. A good warm-up program should include some dynamic stretching for the quads, hamstrings, calves and hips. Doing a combination of these movements should increase joint mobility, help prime your muscles for activity, and improve your flexibility before you jump into exercise. Don’t force the motion, this should be a pain-free warm-up. If your knee pain has recently started and seems linked to activity, you may need to modify your activities temporarily to allow inflammation to subside. Avoid higher impact activities like running and jumping in favor of lower impact activities like walking, cycling, elliptical, or swimming. This should be a temporary modification while you work on building up your strength and flexibility. When you start getting back to your normal exercise routine start slow and build back up gradually. Shoulder Pain Slowing You Down? This Easy Self-Assessment Might Tell You The Cause!